We will discuss the impetus behind our respective weeding efforts and some of the projects on which we have worked. We will share what was successful, what wasn't, and why. This will be an informal presentation followed by a conversation with the audience about what has worked at their respective institutions. 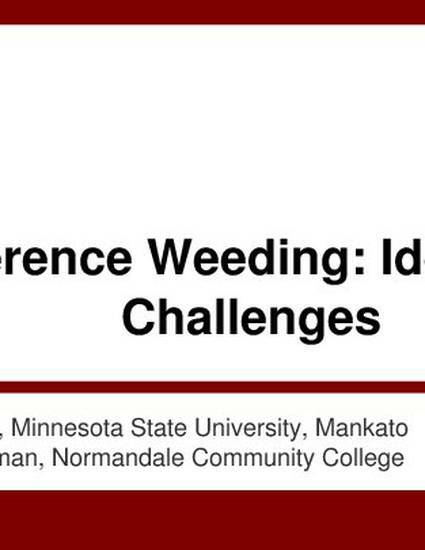 Duevel, C., & Wightman, R. (April 10, 2015) Reference Weeding: Ideas and Challenges. Spring 2015 User Group Workdays, Edina, MN.